Nurses and midwives are highly skilled health care professionals who combine the art of caring with scientific knowledge and skills. 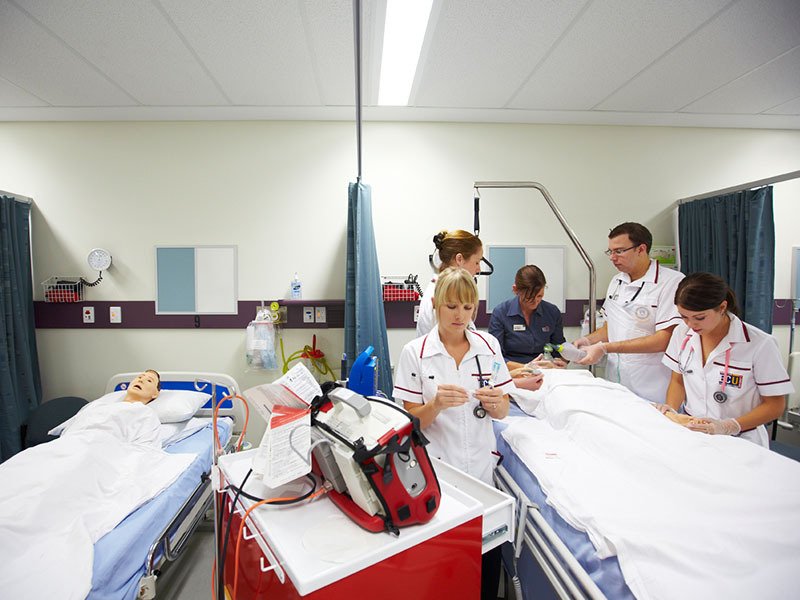 ECU has the largest Nursing program and the only Bachelor of Nursing & Bachelor of Midwifery double degree in Western Australia. And our nursing courses include flexible online study options. We also have facilities that are the envy of other universities, with demonstration wards that are as close as you can get to the real thing – until you start your practical work in one of Western Australia’s major hospitals. 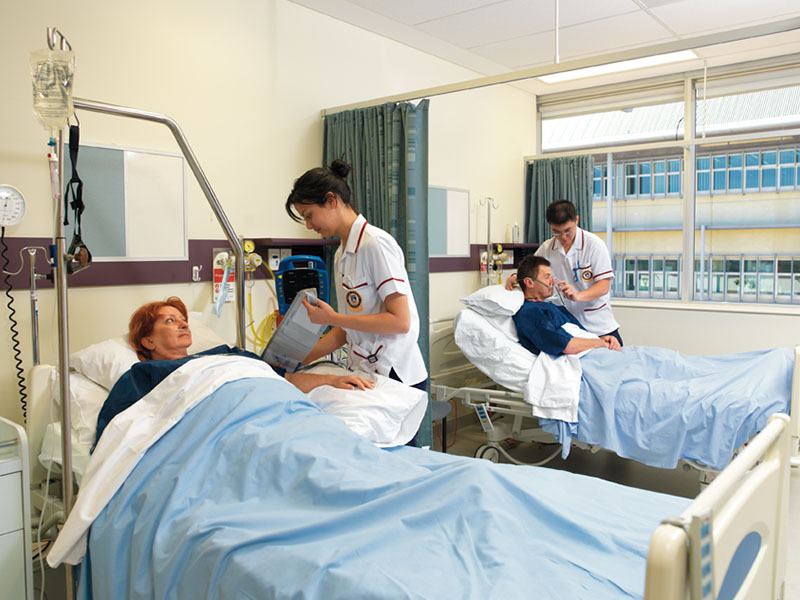 If the idea of a career in nursing or midwifery gets your pulse racing, look no further than ECU. ECU’s Nursing program has received international recognition through ShanghaiRanking’s 2018 global ranking of academic subjects. Our program has been ranked in the world’s top 150 universities offering courses in nursing. Many of our postgraduate nursing courses can be studied online. At ECU we understand that when it comes to studying, everyone is different. And often busy! It's why we offer working nurses and midwives the flexibility of online study within all of our postgraduate programs. Our tutorials are delivered via virtual classrooms which you can access anywhere at any time from your desktop computer, laptop, tablet or smartphone. During the tutorial, you can ask questions in real time and have discussions with your lecturer and fellow students. You’ll also have access to lecturers online, or can meet with them on-campus. To see our range of postgraduate courses, simply scroll down to Courses. To consolidate the theory they learn in the classroom and to understand what pregnancy means for couples, all midwifery students participate in our Mothers Adopting Midwifery Students (MAMS) program. MAMS pairs students with women up to 35 weeks pregnant for their mutual benefit. The program offers invaluable learning opportunities outside of a 'typical' classroom setting, where students can develop both their clinical and personal skills. Feedback from MAMS has shown that participants experienced a sense of comfort, trust and overall psychological benefit from meeting with the same midwifery student throughout their pregnancy, labour and post-natal period. Students from the 2016 Nepal clinical placement. 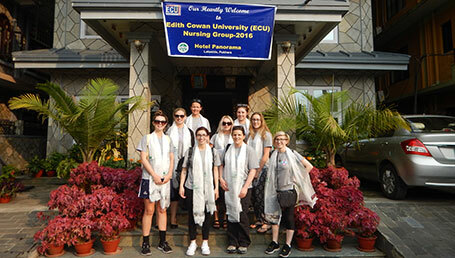 If you're interested in working in a different healthcare system to experience health in a diverse cultural setting, you can include a community placement overseas as part of our undergraduate Nursing and Midwifery programs. Community placement opportunities are currently available in Laos, Cambodia, India, the Philippines, Thailand and Tanzania for Nursing students and in the Philippines for Midwifery students. Our School of Nursing and Midwifery has partnerships with metropolitan and rural hospitals and the private sector, allowing you to undertake most of your undergraduate clinical placements in one setting. Some courses can be studied at our Joondalup and South West (Bunbury) campuses. 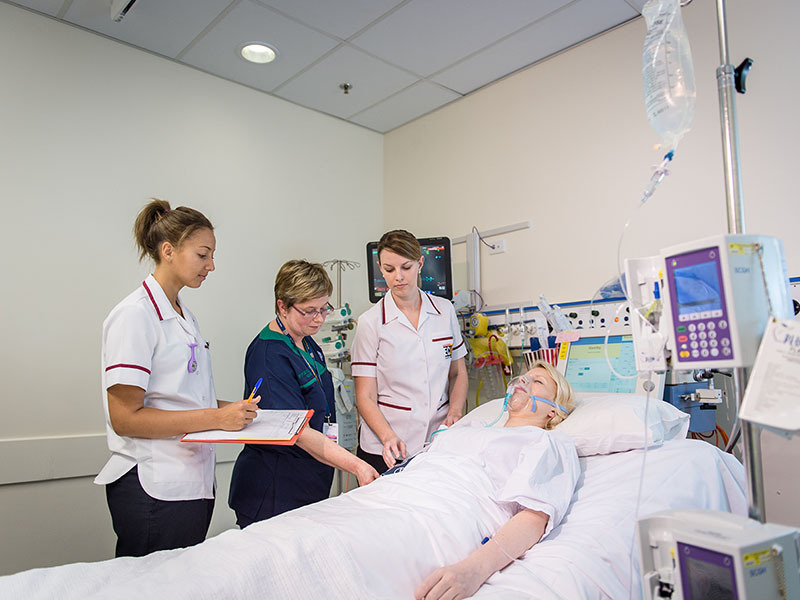 At ECU, we've grouped similar fields of work into study areas – Nursing and Midwifery is one of them. Within this study area you can choose a degree, for example a Bachelor of Science (Nursing) or a double degree such as a Bachelor of Science (Nursing)/Bachelor of Science (Midwifery). 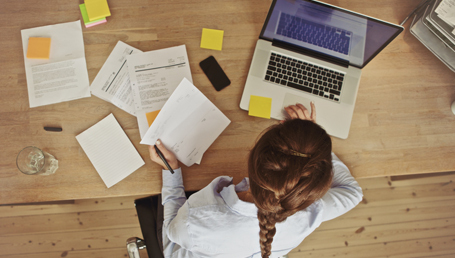 Postgraduate degrees are also available through coursework or research. For example, you can study our Master of Nursing by Research degree or complete a Master of Healthcare Studies by coursework. Our purpose-built Health and Wellness building features health demonstration and clinical practice wards that provide a safe and authentic environment for clinical skills development. 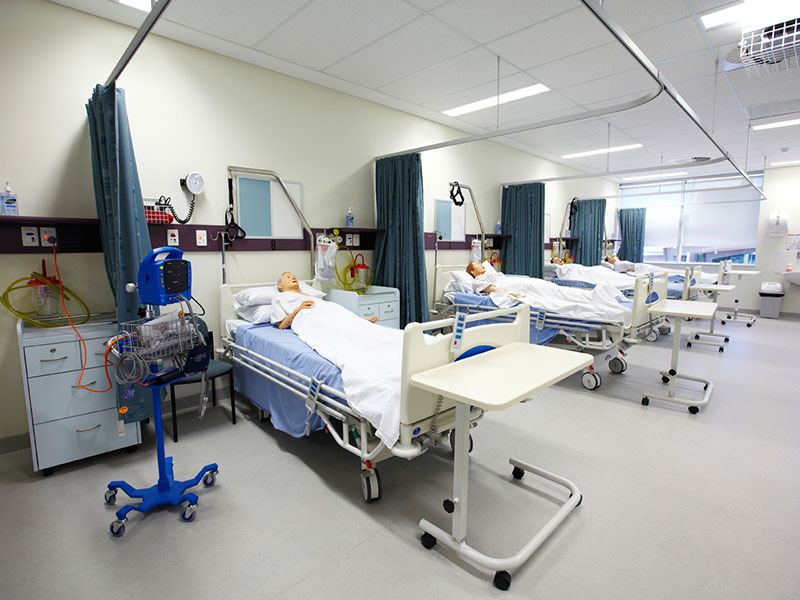 These state-of-the-art facilities allow you to practice nursing and midwifery skills in a variety of simulated healthcare scenarios, helping you improve your practical skills and build confidence. Our facilities include two laboratories and a preparation area where practical sessions are held on pathophysiology and pharmacology. And we have an Anatomy Museum housing potted specimens, models, charts, textbooks and computers for using packages for chemistry, anatomy and physiology, pathophysiology, pharmacology and clinical microbiology studies. What's so good about Nursing at ECU? Nursing students talk about our awesome facilities and supportive teaching staff, including Norwegian student Karianne Tjugen, who tells us about her 'study abroad' experience in two languages! Our teaching staff also discuss why they enjoy working at ECU. In their own words: meet our Nursing students and teachers. "The clinical practice wards and simulation patients at ECU are as close as you’ll get to the real thing." "I’ve wanted to be a nurse since I was 16 after I helped deliver my aunt’s baby, so that just set the wheels in motion. Since then, I’ve been raising children and waiting for the right time to study as a mature age student. I feel comfortable studying at ECU and practicing my clinical skills before I go out into the real hospital environment. I can honestly say that my lecturers and tutors are the best of the best. I am confident in their ability because they are working in the industry and are in touch with what nursing is currently like." "The practicum experience I undertook was invaluable." "ECU’s Nursing course has a larger than expected practicum component, which means hours of valuable on-the-job experience. I’ve worked within several areas, including paediatrics, mental health and general nursing. My biggest challenge was my paediatric rotation, especially the Intensive Care Unit. The high pressure environment tested my professional skills, but thanks to the training received throughout my course, I completed the practicum successfully and met inspirational nursing staff along the way."